We offer a wide range of hotels near Crawley Town from cheap accommodation to up market luxury hotels. Search our database of hotels to find the lowest rate for your stay closest to Checkatrade.com Stadium. This award-winning 4-star hotel is 10 minutes’ drive from Gatwick Airport and offers direct bus transfers. It features spacious rooms, a luxurious spa and an impressive 4-storey waterfall. Just 5 minutes' drive from the M23 motorway, Holiday Inn Express Gatwick is a 30-minute drive from Brighton. Three Bridges Rail Station is a 10-minute walk away, offering direct trains to central London and Brighton. With an on-site restaurant and 24-hour front desk, Ibis Gatwick offers modern rooms and an airport shuttle service. The hotel is a 10-minute drive from all Gatwick Airport terminals. 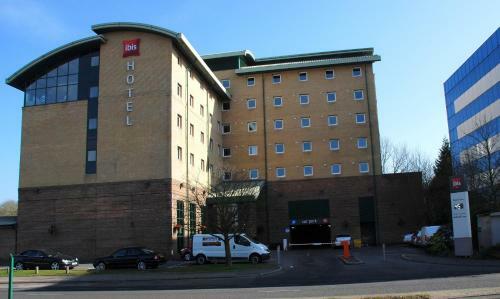 The Holiday Inn London Gatwick - Worth Hotel is contemporary in style and is just 10 minutes' drive from Gatwick Airport. It features a 24-hour reception and a restaurant. 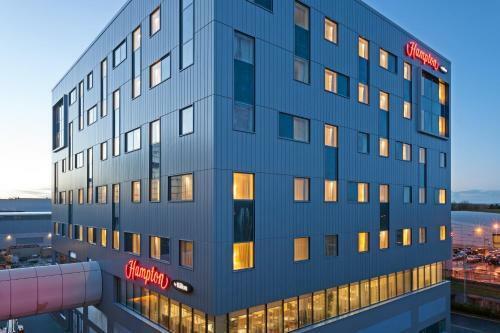 Directly connected to Gatwick Airport’s North Terminal, Hampton by Hilton London Gatwick Airport offers high-quality hotel accommodation, and a restaurant, bar and fitness centre.